appointment. Call 386-672-9950 or email me. If you're interested in classes but are unavailable these dates, send me an email and I'll notify you when I have 5 or more people interested. Discount available if you pay for classes in full in the beginning. For more detailed info about the classes click Here. We accept cash, check, paypal, Visa, M/C and Discover. On January 15, 2008 my first two books, DEFINING MIRACLES and PALMISTRY TO GO were released by Jasmine-Jade Enterprises. The books are available from my websites or Amazon.com Book signings are now being scheduled in the Central Florida area. 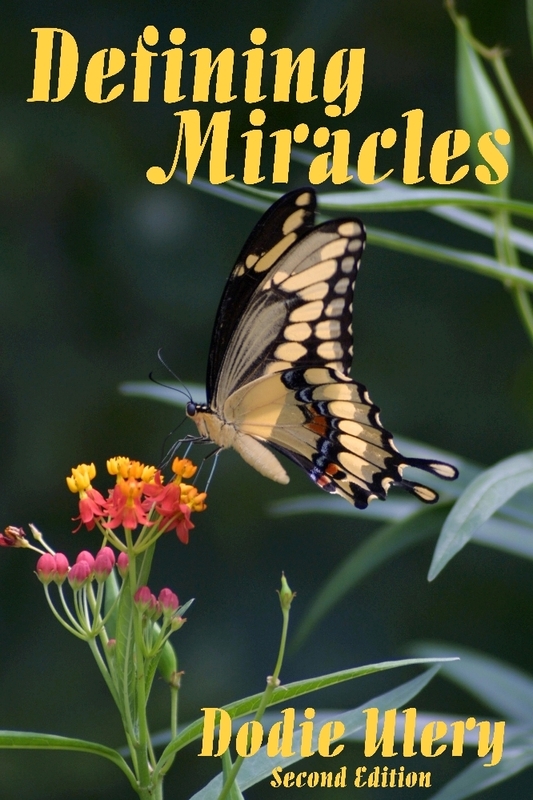 The publisher ran out of books so the second edition of DEFINING MIRACLES, will be released in August, 2010.